After many months of research we are happy to add this top quality skin care cream to our store, made by Medline Industries, featuring olive oil and Hydroxytyrosol, along with other antioxidant rich nutrients. This product has extensive research behind it which is why we decided to market it rather than develop our own. 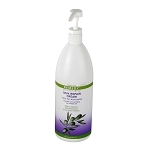 There are several other olive leaf based creams and lotions on the market. But Medline stands apart, not only for their focus on developing products for skin health (rather than simple moisturization), but also their reasonable cost. We feel this cream is as good as any spa or salon product costing two or three times more. Remedy skin repair cream with Olivamine can be used as daily skin moisturizer for your whole body, including face, hands, and feet. Remedy skin repair cream contains essential nutrients to help reduce dry skin, cracked skin, chapped skin and itchy skin without leaving an oily feeling. Remedy skin cream also heals skin damaged by sunburn. 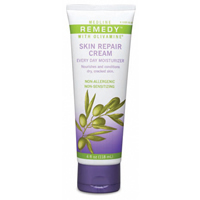 Remedy skin repair cream is ideal for people with fragile and delicate skin. 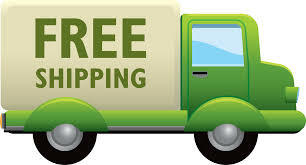 Remedy cream provides proven relief to people with psoriasis, eczema, or other dry skin conditions. Remedy cream is even recommended by oncologists to maintain healthy skin before and after radiation treatments. Remedy skin protectants contains silicones powerful enough to help prevent excessive transepidermal water loss (e-TEWL), yet unlike petroleum-derived products, will not occlude the skin’s natural breathability. In addition to these silicones, Remedy also uses ingredients to help protect the skin from excess moisture, incontinence, perspiration or wound exudate. Once absorbed, the natural oils and essential fatty acids aid the skin repair process. Contains a patented ingredient called Olivamine, made by combining various antioxidant nutrients including a high amount of Hydroxytyrosol (found in olive and olive leaf). See ingredient list below for full list. Remedy Skin Repair Cream is specially formulated for extreme skin breakdown situations. Strong enough to use for chapped, cracked, and dry skin. Yet ideal as a facial moisturizer and for dry hands. Healthy and soft enough (non-irritating ingredients) for daily use. It really helps to have a smooth & moisture skin!! I purchased a big bottle and found out my skin improve little by little daily. I bought this small tube to share with friend because this is the best skin care cream which I feel safe to apply all over my body & my face. Highly recommend. This is a very effective cream, and it absorbs wonderfully. Very good on the face. Remedy Skin Repair Cream is really wonderful. I have 3 cats and am washing my hands a lot so my hands get very, very dry. I keep a tube in my bag and one by my bed. I see a big difference in my hands when I use this cream on a regular basis. This hand cream is great! It makes my skin feel so smooth. I would recommend it to others. Thank you for this great product, finally something that has put my daughters eczama on the defense. I love this product!!! I use it on my face, and body, including elbows and heels. My skin is soft and supple without being greasy. Won't be looking for a new skin care product any time soon. I love this cream, it has a nice smell and works great! I tend to have very dry skin on my hands and it is keeping them soft and looking good. I have also been using it as my facial moisturizer and it works better than most others I have tried. Will definitely be purchasing more! I gave this cream to my daughter and she said she loves it. It keeps her skin very soft and feels healthy. This is the most amazing cream I've ever used. It does everything it says it will. I have been using it daily on my face and arms for about a month now and everyone is telling me my skin looks so pretty and wanting to know what I'm using. Of course, I'm thrilled to tell them my new secret. Try this cream... you will not be disappointed! The cream has a nice smell and feels so good to put on my whole body. It seems to soften my skin greatly, and I love the light moist feeling. It is simply great, and i love it! I love this cream very much! It smells awesome and works very well softening and rehydrating the skin. Remedy Skin Repair Cream with Olivamine. This cream has been a great help for me. It has lessened my scratching due to my very, very dry skin. Will surely recommend this cream to my friends and relatives. Thank you. The Olivus creams are great! They do not feel greasy and work great! I just have to remember to use them, but when I do, I am reminded that I need to use them more. I am a sun worshiper and as a result I have dry, sun damaged skin that looks older than my years. I've tried a lot of skin care products and this one is hands down the best I've tested - it soothes, moisturizes and, amazingly, it has noticeably repaired some of the sun damage. Try it! Q: Is this product all natural or does it contain chemical ingredients? Thank you! A: The ingredients are listed on the product detail page and on the tube. Please contact the manufacturer - Medline for more details on the ingredients.